Troy is In. Let's Just Not Get Too Carried Away. Yesterday, I linked up the Rick Gosselin column on Troy Aikman’s career that can only be reviewed as flattering. Gosselin is the Dallas representative on the Hall of Fame committee. It is his job to make a strong argument to get Aikman inducted, and I believe he did a fine job. But, in the interest of an even handed view of Aikman, I did have a few small issues with what Gosselin wrote. Counting the postseason, Aikman started 158 games for the Cowboys in the 1990s. The Cowboys led at halftime in 98 of them and found themselves tied on 10 other occasions. Wonder why Aikman had so few come-from-behind victories? He was rarely behind. I don’t mean to be a detractor here, but if you were ahead 98 of 158 chances, that means you were not ahead 60 times or almost 4 full seasons of his career. To suggest that he had few chances to come from behind and that explains the low number of comebacks is not telling the full truth. It just wasn’t his specialty. Aikman won more games in one decade (90) than any quarterback in NFL history. Yes, more than Young in the 1990s, Joe Montana in the 1980s and Terry Bradshaw in the 1970s. Aikman also won three Super Bowls. The only two quarterbacks who won more, Montana and Bradshaw, are enshrined in Canton. It was never about statistics with Aikman. It was about winning. Elway’s career spanned from 1983 to 1998. So, just because his career did not encompass a full decade (the 1980’s or the 1990’s) John Elway cannot participate in this study. Jim Kelly played from 1986 to 1996. Therefore, he cannot participate in this study. Steve Young was not the starter of the 49ers in 1990. Therefore, he can participate in this study, but with 9 seasons as a starter, will not measure up to Troy. Brett Favre was in the 1991 draft, and started playing in 1992, therefore he is not in this study because he did not play in 1990 or 1991. Dan Fouts played from 1973 to 1987, and therefore does not qualify for this study. In fact, any QB before 1978 only had a 14 game season, and therefore 20 fewer games a decade to win games. And any QB prior to 1961 only had 12 game seasons, and would have 40 fewer games in a decade to catch Troy’s 90 wins. Joe Montana did qualify for this study, and Aikman’s 90’s beat Montana’s 80’s. That is very impressive. But it should be noted that Steve Deberg was the 49ers leading passer in SF in 1980, thus reducing Montana’s chances. But, that isn’t Troy’s fault. The point of this study is not to say Troy’s accomplishment isn’t impressive, because it is. But, the pool of QB’s who played their career inside one decade properly is very, very short. If Gosselin or anyone has run the numbers of any QB in any 10 year period whether it be the decade of the 1990’s or the decade from 1988 to 1997, I would be quite interested where Troy’s 90 win mark ranks. For instance, since I didn’t care to run the numbers of everyone, I did check Favre from the time he started with Green Bay for the decade of 1992-2001 and saw that Favre had 104 wins in that 10 year span. Not comparing the two QB’s, but I am attempting to discredit that statistic as a pretty misleading one. The Hall of Fame Eligibility List shows that Troy Aikman is more than likely to be inducted this week. Take away Montana, and Troy has as many titles as the rest of that list combined …He is getting in this season. I am absolutely convinced of it. He deserves it based on his high level of accomplishment as a Bart Starr/Bob Griese type QB who did not have impressive stats, but did have impressive wins. I trust the preceding paragraphs did not offend Cowboys fans who are not willing to discuss the possibility that Troy doesn’t walk on water. He is a great, great QB who will go in this year, but I think Gosselin went a little bit "homer" in this one. Of course, that is his job, and with all the trouble Cowboys have had getting in, they need a homer making their presentations, I suppose. I think most readers of this goofy blog enjoy looking at the issues from every angle. Hopefully, I offered a little context to Gosselin’s glowing report. Brandon Noble needs crutches to walk, and he has been relegated to spending much of his time at home on his sofa. When he's lying in bed at night and needs to move his left leg to get comfortable, he must lift it with his arms or nudge it with his right leg. He struggles to play with his children. But while Noble might have the typical limitations of a broken-down football player, the career of the Washington Redskins' defensive tackle isn't threatened by damaged ligaments or cracked bones. At 31, Noble has been sidelined by a staph infection, suffered after being injured, that in some cases is potentially fatal. "It's been an incredible couple of years here," Noble said. "It's like I'm a modern-day Job." He made a good point about his longevity; I'm not sure if it'll air on HBO or not. I asked him about Jimmy Johnson saying five years in one place is enough, and John Madden's claim that 10 years in one place was enough. Those coaches had a theory: Players start to tune you out and your message gets old. The players all can't leave, so the coach has to. Cowher's theory was one I hadn't thought of -- it's an extreme rarity that players last 10 years in one place, so the message doesn't have time to wear thin. "Don't get me wrong, I would love to win by a blowout every game, but I think this will help our team down the line," Tippett said. "The more you can learn about your team in close games, I think the better you'll be down the stretch." The Stars stretched their winning streak to five games and improved to 35-15-2 on the season, good for 72 points. They stayed one point behind the Red Wings for first place in the Western Conference. The Stars also got key points in a game against a Pacific Division rival as the Sharks (23-19-7, 52 points) continued to battle uphill in search of a playoff berth. Wow! The 2006 MLS Cup is here again …Frisco must have done well in 2005, eh? Seattle's NFC title has reduced to six the number of NFL teams never to reach the Super Bowl. They are Houston (expansion team in 2002), New Orleans, Arizona, Detroit, Jacksonville and Cleveland. Each of those cities, except Cleveland, has hosted a Super Bowl. So that makes Cleveland the only NFL city never to have appeared in or hosted a Super Bowl. Cleveland defenders point to Indianapolis. Though the Colts franchise appeared in the Super Bowl when it existed in Baltimore, it hasn't qualified for the big game since its move to Indianapolis in 1984. "I love the game too much and I love my legacy too much to have that just be OK," Favre said, "and I don't want to be just OK. I want to be good, and I don't know if I'm committed enough [right now] to be good on an everyday basis." All right. I have avoided this topic as best as I could for the last month. Let’s get to it. Favre has always been too honest for his own good. Some of the stuff he told Mort in that interview I knew he was going to get pounded for. He said that he wasn’t sure if he still wanted the ball with 2 minutes to go. It was the truth, but it is also something that media folks are trained to pounce on if someone says it. He will get pounded for saying his heart isn’t totally in it. It is the truth? Most likely, but it also is under the category of “things you should not say out loud”. Here is the deal: Last season, he played with Wide Receivers #2 and #5 on his team, because #1, #3, and #4 got hurt. He ended the season playing with Running Back #6 because they went through RB’s #1, #2, #3, #4, and #5 with either injuries or in Rashard Lee’s case, fumbles. He is beaten down. Last season, with all the cap room in the world, the Packers did nothing to help him, and even drafted a QB when the team appeared to have one, but needed big offensive line help and huge defensive help. They sent the message that they need to start looking ahead, and he received that message loud and clear. Can he still play? Not as well, but yes, he can still play. His arm is still top notch, his legs are still allowing him to avoid big contact, and he still is able to make plays even with his silly supporting cast in 2005. But, he also looks terrified of being hit sometimes. He wants to leave the game in one piece. In fact, he flings the ball in the air to avoid a blitz, and those are passes that get picked off. You really can’t play QB like that. No one will make excuses for Brett like I will. I am probably to Brett Favre what Dale Hansen is to Troy Aikman. You won’t hear me rip the guy most the time, but after watching this season, and watching the distraction of 24/7 “will Brett retire?” talk, I have certainly come to terms with the idea that the end is near. Is he done? I am not convinced he is, but clearly after seeing this interview, the road is paved. Here is my major concern, though, and mark my words: If he retires this off-season, I am 100% sure he will be back. He is wired to compete, and despite the fact that he is so beaten down, that will turn when football season arrives, and he may sit a year out, maybe two, and he will be back. But, with the salary cap and the planning of a franchise like it is, when Favre is ready to return, the Packers may have turned the page. This, will drive me crazy, as Favre ends his career with 1 or 2 more seasons in Miami or New Orleans or something. I hope I am wrong, but I have seen this guy compete for every snap of his life. He may want to go out like this now, but I promise he will be back if he does. I also hope I am dead wrong. There. I know you have always been surprised with how little I write about the Packers on this blog, but I made up for it today by pounding it. Stars are 8-0 in shootouts …would we love the shootout the same if they were 0-8? The people up here in Detroit on the Red Wings post game show were talking about how, “that isn’t hockey” after they lost…. Hairston registered 94 sacks in a 15-year career as a defensive end for the Philadelphia Eagles under Vermeil and Marion Campbell from 1976-'83, for the Cleveland Browns under Marty Schottenheimer and Bud Carson from 1984-'89 and for Arizona under Joe Bugel in '90. As a player, Hairston's teams posted a record of 124-118-1 (.512). He played in Super Bowl XV for the Eagles. They drafted him in the seventh round in 1976 from Maryland-Eastern Shore. 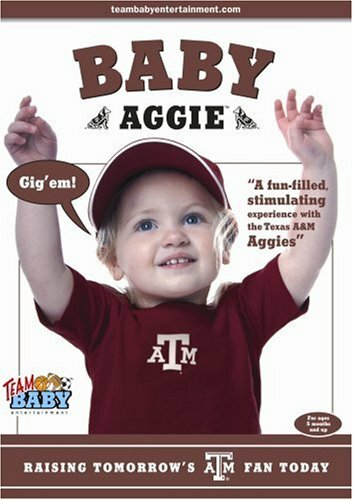 Raise your Aggie the right way …. The Super Bowl is gay …Now we know who that dude, Andy Milonakis is…. I don't know if this is on your radar screen yet but John Daly has a new reality show called "The Daly Planet" on the Golf Channel. So far I've seen the episode where he tries hitting a golf ball over Niagara Falls in front of a huge crowd. The next was w/ him flying to Scotland for the British Open @ St. Andrews on a G5 Private jet. They show him hauling his Miller Lite all over and smoking like a chimney. Worth checking out. Probably be able to catch up this weekend if you Tivo it. I heard your top 5 list and I agree that all of those were bad. However, there are 2 that stand out in my mind that did not make your list. Jeff Zimmerman signed a 3 year/$10 million contract with the Rangers following the 2001 season and never threw a single pitch during the length of the deal. Rusty Greer signed a 3 year/$21 million contract that same off-season and played in a grand total of 51 games and hit 1 home run. The 12th man was all walk-on until 1989. In 1988 Rodney Blackshear ran a kick off back on the 12th man, which was the first time the all-walk on team had ever had one returned on them. How do I know I was there on the sidelines as a member of the Texas Tech team that accomplished this. The following year, Slocum went to only one walk-on on the kick off team, and he wears #12. This year I believe that they reinstituted this all walk on team. By the way, check with K Scott he can vouch that I was a part of the team. The Ags used one walk-on, John Ray, all season on the kickoff coverage. But against OK State, where in the fourth quarter and we were up by like 35-40, Fran did put in an all 12th Man kickoff team – twice. The crowd erupted both times and the coverage team did a standout job. Kinda like the Rudy of Aggieland for some of the walk-ons. A great move by Fran. I went to all the home games but two, and witnessed this first hand. What a week for the Mavericks and Stars. Well done, chaps. Down by 17 points in the first quarter, the Mavericks roared away from Seattle for a 104-97 victory at the Key Center. The Mavericks emphatically completed a 5-0 tour of the Western Conference, with four wins against teams that have losing records, for the club's most successful trip ever by any measure. Each win was by at least six points. In each of the last two games, the Mavericks rallied from a double-digit deficit. This was their third victory of the season when trailing by 17 or more points. No opponent scored more than 97 points during the streak. Seattle, the highest-scoring team in the NBA, produced five points fewer than its season average. SuperSonics guard Ray Allen, facing a variety of defenders, made his first four shots and only five of his last 17 tries. "To go 5-0 is pretty special," said Dirk Nowitzki, who found ways to score a team-high 29 points despite erratic shooting. "We got lucky on a couple of occasions, but we played well together and played well defensively." By his own reckoning, Turco was "overdue," locked in a monthlong slump. "It's great to see a lot of quality shots and get work and most importantly give my teammates the difference-maker they expect out of me," Turco said. "I felt real good, as good as I have in a long time." Tanguay had two prime chances in overtime. On the first, a flailing Turco got his glove and skate on a Tanguay attempt from the side. The next time, on a partial breakaway, Turco stopped Tanguay's first attempt with his pads and his second with his glove. "Skill and patience, that's his whole game," said Turco, who finished with 37 saves. "The one in overtime where he got it back and chipped it, I couldn't believe he got it on net." It was the second straight shootout for the Stars, who also got shootout goals from Zubov and Jokinen in Wednesday's win over St. Louis. Let there be no question this morning, Marty Turco was clearly the best goalie in this game. I would think this would be the norm around here, but to play that way in Colorado, after doing the same thing in Denver earlier in the year, as well as a great performance in Ottawa suggests that he can do it. But why is a home game against bad teams such a struggle? The Stars are winning games with an average goalie. That's no recipe for success in the spring. In the last three years, Turco has gone from acrobatic to enigmatic. In 2002-03, his 1.72 goals-against average broke the NHL record that had stood since World War II. His .932 save percentage was the second best in more than 25 years. This season, Turco ranks seventh in goals-against average and is third best among Western Conference goalies likely to see the playoffs. That's not bad. But save percentage, a better barometer of a goaltender's performance because it has less to do with overall team defense, tells us Turco remains a struggling goalie. At .894, he is tied for 28th in the league with the highly questionable duo of Colorado's David Aebischer and Detroit's Chris Osgood. And Aebischer outplayed Turco the last time the Stars went to the playoffs. There's more to it than Turco's new $22.8 million, four-year contract. He was having disturbing moments before he signed the deal. But he's 30 and athletic and has a track record that shows he is capable of long stretches of elite play. Even this season, Turco was the NHL's defensive player of the month in November when he went 10-2 with a 1.90 goals-against average. He needs another hot streak such as that after the Olympics break to get into the right mindset for the playoffs. His career postseason record of 7-10, which includes those memorable losses to Anaheim's Jean-Sebastien Giguere when he played well and those forgettable losses to Colorado a year later when he didn't, won't go away even with improved regular-season play. Turco has no way of becoming a postseason success story until the postseason. But in the last 32 games of the regular season, Stars fans need to see him return to the confident, athletic style that made him a record-setter three years ago. but he did some pretty good things in the bullpen." Loe went 9-6 with a 3.42 ERA as a rookie in 2005. He pitched out of the bullpen most of the season but was 4-2 with a 2.70 ERA in his eight starts. He wants to be in the rotation. "I have confidence in my own ability to win a spot or keep it," Loe said. "If I would start the year in the bullpen, I would embrace that, then work my way out, just like I did last year." Dominguez, whose ability has long tantalized people in the organization, was 4-6 with a 4.22 ERA in 22 games, 10 of them starts. Injuries and off-field problems, including the death of his mother, have slowed the 25-year-old's progress. Yet Connor thinks Dominguez could have a breakout season. "I think he gets it," Connor said. "He knows what kind of an opportunity he has. ... He's got a few extra pounds on him right now, but he's got a couple more weeks before he has to report to spring training." After the diatribe yesterday about Juan Dominguez, where is the story about him showing up to minicamp overweight? My answer: I really don’t have a good explanation. I guess I don’t care that much that someone on January 25th is a perceived amount of pounds overweight. For a couple reasons. Namely, don’t we have 10 weeks or so before opening day? What sort of pace would he need to be on to get to the proper Buck-approved weight? A pound a week? For a professional athlete, I think that can be done in about a month, if not less time. Look, I know it is not popular for me to be pro-Dominguez. I know Buck wants 25 guys like Mark DeRosa and David Dellucci who will roll in here and speak well, and behave properly. Trouble is, I don’t care about what time his alarm clock goes off or if he makes his flight in January. Nor do I care if C.J. Wilson can do all of that. All I know is that of all of the young arms I have seen, Juan Dominguez exhibits the ability that most reminds me of a standout major league pitcher. And therefore, should be afforded any reasonable babysitting to make sure that he delivers here and not in San Diego or Milwaukee. I have said this over and over again, and then every time the Rangers PR Machine offers something negative about him (which you would think would be more serious than over-sleeping given the uprising of the masses) people want me to give it up. I will not. He can pitch. He can pitch very well. And I will not sit quietly as the Rangers take another Doug Davis to the curb in the name of getting 25 guys who can all show up on time and have their pants ironed. I bet 25 readers of this blog could do that, but I don’t want you guys trying to get the Yankees out in order. Joe Buck and Troy Aikman, FOX -- Well, I hate to do this, because Troy was one of the most honest and informative players I've ever talked to. He really helped me throughout his whole career. But what can I say when the area of line play, particularly on defense, is so ignored by this team? OK, Aikman's strength is the passing game, patterns and coverages, and I can take an overload in this direction, but I can't take what seems to affect so many young announcers after a few years -- plugging the stars. Packers-Bucs, Week 3. Favre throws an interception on the first series. His fault? My goodness, no. It never is. "The receiver didn't get separation." (Then don't throw the freakin ball, Brett!). I'm even hearing organizational copping out, as the Packers sink to 0-3. "They're in a little bit of their transitional mode with their franchise," Buck says, and, yeah, I'd expect it from him, but I think Aikman has to think through the whole idea of whether he wants to be a dead-on analyst or an industry flak. The Stars couldn't make it easy on themselves Wednesday, so they made it entertaining for the fans. Staring down a potential loss to the worst team in the NHL – the St. Louis Blues – the Stars tied the score on a Philippe Boucher goal with 46.4 seconds remaining in regulation, then went to their patented shootout formula to win the game, 4-3, before 17,523 at American Airlines Center. Those fans were booing earlier as the Stars could barely dent Blues goalie Curtis Sanford, despite putting 21 shots on goal in the first period. However, they were ecstatic when Stars goalie Marty Turco made three key saves in overtime and pushed the game to the shootout, where the Stars have yet to lose this season (6-0). And just like clockwork, Turco stopped Blues shooters Mike Sillinger and Dennis Wideman to improve his shootout saves streak to nine. Meanwhile, Sergei Zubov scored for Dallas after the Sillinger miss, and Jussi Jokinen put the game in the win column by scoring for the sixth time in his six shootout attempts. Jokinen, who also had two assists, including the key steal on the goal that tied the score, went back to his wrist shot instead of the spectacular one-handed move he used to beat Boston on national television Jan. 14. Jokinen quipped that he didn't want to use that move. "It's been on TV too much. I didn't want to do that." The reserves cleaned up a mess, took control of the game and pushed the Mavericks to their sixth consecutive victory: 102-93 against Golden State at the Arena. The bench finished with 43 points and 17 rebounds. "The guys off the bench gave us a big lift," Johnson said. "We were fortunate to get out of here with a win. We looked like a team that had been relaxing for two or three days." The win guaranteed that Johnson, in his first full season on the job, will coach the West in the All-Star Game, on Feb. 19 at Houston. The Mavericks trail San Antonio by ½ game for the best record in the West, but Spurs coach Gregg Popovich is ineligible because he did the duty last season. "To be fortunate enough to be in this situation shows the guys who play for the Mavericks won some games and we're in the heat of the race," Johnson said. "It's a nice honor, but we're just thinking about getting ready for (tonight's game at) Seattle." Harris had to be helped to the locker room and did not return for the second half. An examination found that Harris had a sprained right shoulder in addition to a sore jaw. Harris said he probably will not play against Seattle but hopes to return for Saturday's home game against Seattle. Harris never saw the pick and therefore had no time to brace himself. hit him kind of awkwardly." Harris injured the right shoulder during summer-league play. During Sunday's win at Portland, Harris landed on the shoulder after being driven to the floor by Steve Blake on a crucial overtime layup. The city's new Major League Soccer franchise is called Houston 1836, commemorating the year the city was founded. The unusual moniker for the former San Jose Earthquakes echoes the practice of some German clubs, which include the year of their founding in their names: TSV 1860 Munich, Hannover 96, Bayer 04 Leverkusen, FC Schalke 04 and TSV Mainz 05. "From this day forward, the Houston 1836 logo will be a symbol of a hardworking team," team president Oliver Luck said. "This is a team for Houston. If you live in Houston, you must like it here. If you like Houston, come out and support another Houston franchise." Houston also becomes the fourth MLS team with a European-style nickname, joining CD Chivas USA, Real Salt Lake and FC Dallas. What are you doing? What is the point of trying to confuse your audience? Is the idea to liken your product to Europe? If so, why do you have a draft (that you insist on calling a “Super Draft”? Why do you have playoffs? Why do you have divisions? These are all far more practical things that you could imitate from Europe that would make more sense for your product. Instead, you are trying to imitate all of the things from American Sports that you want, and then decide that naming your teams “Real”, or “FC”, or “Houston 1836” is enough to set yourself apart. Sadly, all it has done is confuse people, and cause others to continue to mock your product. How can you call your league, “Major League Soccer” and then call your team “Football Club Dallas?” Which sport is it? It really makes little sense, and it suggests that the marketing people aren’t all on the same page. That California-based home mortgage loan company, with its name covering everything at the beautiful ballpark in the city of Arlington, had met up with the Feds. In a settlement with the government, Arlington's new best friend agreed to pay a $325 million settlement of allegations it deceived borrowers, falsified loan documents and pressured appraisers to overstate home values. Where I come from, we call that ripping off people. White-collar crime, and slime. Coast-to-coast slime, since 49 states and the District of Columbia will get a cut of the 325 mil. It also hit close to home. Those home buyers jilted in Texas will receive an $18 million slice of the settlement. Makes you proud, doesn't it, Arlington? Is this a Good Aggie? 492-123 for 80% on the nose. That is a pretty fair sample size, and a very consistent result. As you can see, every turnover you add to your advantage, your win % goes up. How did turnovers affect the Cowboys? Well, when they were even or better, they won 8 out of 11 games. When they were minus on turnovers, they lost 4 out of 5. Also, new this season is the 100 yard rusher stats. How does a team fare when having a RB run for 100 yards? Very well. Of the 138 times that a RB hit 100, 115 times (or 83%) his team won. There. You don’t have to hear about it again until Labor Day. At the start of Tuesday's play, the Mavericks ranked last in the NBA in assists. The Mavericks previously were last in assists in 1993-94 and 1994-95, going a combined 24-140 in those dreadful seasons. Since the 1960-61 season, only one team has had a lower rate over a full year. The 1976-77 New York Nets, of "Super John" Williamson, had a 17.34 rate on the way to a 22-60 finish. In their current style, the Mavericks go against the flow of NBA history. Teams that have a low assists rate traditionally vanish in the playoffs – if they even get that far. In the last 20 seasons, the team that finished last in assists reached the playoffs five times. Three of those clubs won an opening-round series but were gone after two. When asked if the defense's solid performance Monday was because the recently acquired Niinimaa was out with an ankle injury and the old pairs were together, Tippett balked. "It was because of the way we played as a team, not who was in the lineup," Tippett said. He did add that Niinimaa's assimilation will take time. "You can't just dump somebody in and expect them to fit in perfectly," he said. "It's a process, and in the end, he will make us a better team." But just like his team, Niinimaa will have to battle not only physical but mental barriers. Oft-scolded RHP Juan Dominguez did not have a good start to 2006. Dominguez missed his scheduled flight from the Dominican Republic for the start of mini-camp. Dominguez did, however, arrive in time to participate in Tuesday's workout. He is expected to contend for the No. 5 spot in the rotation. So, here is Juan Dominguez dazzling in another start . He is 25 years old, and from all indications, he is a tough guy to figure out, has questionable work habits, and does not have it between the ears. Trouble is, all of those indications come either from Hart, Buck, or people who listen to Hart and Buck. Clearly, Juan is not Buck’s type of player. He doesn’t appear to be a guy who will run through a wall for the team. He appears to simply be a guy with a great arm, and potentially great stuff. Then why, is he less regarded than Benoit, Wilson, and Loe, let alone, Danks, Diamond, and Volquez? Why am I convinced he will be making 30 starts for Doug Melvin soon if the Rangers give up on him? Give him the pill every 5 days here. At least convince me that he can’t pitch. He may be a strange dude. So is Pedro Martinez. He may be a guy you have to babysit. So what? If he can pitch then you cannot afford to take him out with the trash. You have no pitchers! Let’s see more of him. 60% Quality Start Percentage??? If he isn’t in the opening day rotation, this team needs its head examined. Dominguez may have his warts, but he also has the ability to be a dominant starter. Time once again for the “Dale Jr is back” features …How long will people continue to believe this crap? I really like Billy Guerin--both as a player and person. Met him a couple of times, have the signed Playoff Program that he signed from the Star's Wives suite next to our suite while he was injured . . .and on and on. And, yes, my wife would trade me to the Saskatoon Industrial League for him in a heartbeat. Is he on the list of highest paid/lowest performance athlete's to come through Dallas? Not to put it in the "Big bag of nothing" category, but the numbers are not good . . .
Look, Guerin is not having a good year by any stretch of the imagination. But, he was hired for 5 years. In his first 2, he scored 59 goals and 60 assists for 119 points in 146 games which is as good as anyone on the Stars during those two seasons. Then, year 3 was lost in the lockout. Now, in year 4, he is struggling for sure, but there is no way that 45 poor games in year 4 of a contract can put him anywhere near the highest paid/lowest performance Dallas athlete category for even the last 5 years! Don’t even try putting Guerin in that group. No way. Ok, I'm not knee jerking on this. I've harbored this feeling since the last playoff series two years ago and have been reluctant to voice it. But now it seems that there is a pattern. I really wonder if you can win the cup with a guy like Turco in net. I love him just as much as anyone. He's a great guy and very exciting to watch. He seems to me like a guy that relies upon his athleticism to get him in a groove. He's not as much as a technician as some goalies and I wonder if that mindset holds him back. Guys like him have to rely on everything aligning and finding that zone. We they can't find that zone or are unable to maintain it they don't have anything to fall back on to pull themselves out of the rut. Some guys are so disciplined and consistent with their positioning etc. that they can work themselves out of a bad spot. I don't see Turco ever doing that. He's either on or off. When he's hot you can't touch him, but when he's not.....HEY NOW! I just think he lacks focus sometimes and is a little too carefree out there. This is just something that bugs me. I don't have that confidence like I did in Belfour. You knew he was going to lock it down. Well, two things. #1, I am very concerned about what is between Marty Turco’s ears right now. I just wish that those thoughts of when Chuck Knoblauch could no longer throw the ball to first base would stop popping in my head every time he gives up a bad goal when the pressure is turned up on him. One can only hope this is merely a phase. And #2, Ed Belfour is one of the great goalies of this generation. So, to compare Belfour to Turco is unfair to both of them. Turco must go quite a ways to make me forget the great Ed Belfour. Love Eddie the Eagle. Here’s to Ed. The Mavs have put themselves in position to contend for the No. 1 seed in the West by buying into Johnson's system. He's done a masterful job dealing with injuries by developing a roster that might be the deepest around. Stackhouse, Josh Howard, Marquis Daniels, Keith Van Horn and Jason Terry have missed a total of 58 games. Dirk Nowitzki, Erick Dampier, DeSagana Diop and Devin Harris are the only Mavs to suit up for every game. "We've overcome a lot," said Nowitzki, an obvious MVP candidate at midseason. "At one point, we had something like three guys out in the starting five. But we kept on working on the system and doing the stuff that got us here." The Mavs, winners of five in a row, are in the league's top 10 in points scored and fewest allowed. Only pacesetting Detroit can make the same claim. The Pistons are the lone team with a better road record than the Mavs' 16-6 mark. The Mavs are 3-0 on the current five-game trip, and they have never had a five-win trip in franchise history. Johnson's team is 15-7 against teams with winning records, including 5-1 against last season's conference finalists. "You know those steel cage matches in wrestling?" said TNT's Doug Collins, who coached Jordan for two seasons in Chicago and two more in Washington, as Michael's personal choice. "I would love to see Michael at 27, Kobe at 27, lock them in a gym and see who comes out. And you know one thing, the other one will be dead on the court. "Kobe at 27 has the worst talent around him he has ever had. When Michael was 27, he had the best talent around him he ever had. It's as if their careers flip-flopped." At 27, Jordan hadn't won a title and had learned his limits the hard way, but with Scottie Pippen and Horace Grant emerging, was surrounded by the best talent he'd play with. Bryant won three titles with Shaquille O'Neal by 24, but now, at 27, is learning the hard way how far he can carry the Lakers by himself. Bryant is every bit as ferocious as Jordan and works even harder at his craft (Jordan got more serious as he got older; Bryant was born serious). Of course, Kobe is doing it his way, with his impossible, long-range, covered, falling-backward, leaning-in, off-balance, no-no-no-nice shot repertoire. "I've always said Michael is the most fundamentally sound player I'd ever seen," Collins said. "Now when you throw in that spectacular physical talent, you've really got something…. If this was like gymnastics with degree of difficulty, Kobe's shots wouldn't just count two points." Here is what the national media thinks of the Cowboys bias …. The Pro Football Hall of Fame balloting won't take place until the morning before Super Bowl XL, but some media folks in the Dallas area have already begun banging the drums, in their typically ill-informed fashion, about contentions that a bias exists against the Cowboys' candidates. In the same week, two columnists from the Fort-Worth Star Telegram penned pieces, apparently trying to win votes and influence selectors. The annual rhetoric is every bit as petty and small-minded as the Dallas area media accuses the selectors of being. It never affects the votes, and won't this year, but that probably won't stop the columnists from grinding their axes on days when they've apparently got nothing better to write. Bonds bows out of the World Baseball Classic …Does anyone care about this tournament? Long time no bother. Hope all is well with you and yours. As your resident P1 "american who happened to have been born brown" aka black guy, here's my take: Yes you've traveled but you're from Wisconsin and you - like many - live in this bubble of happiness where you just because you believe something makes sense to you you assume that it makes sense to everyone else. You say that you're color blind so you assume that everyone else is or should be like you. Sorry my friend, that's not the case. Before you get defensive let me say that there are extremes on all sides. I don't agree with everything Blackistone or Jean Jacque Saint whatever writes just because they're black either. Being from Champaign, Illinois I too grew up thinking everyone had the same "love thy neighbor...for the content of their character...yada yada" until at 17 my high school date's (blonde, blue eyed...) father refused to shake my hand. He was a strength coach for the U of I. Guess we were good enough to help him earn a living but... you know the rest. It was the first time, but not the last. Forgiven, but not forgotten. That's our life - every day. Anyway, back to the matter at hand. The situation with Romeo C. and the group of young coaches, who happened to have been born white, with little experience and poor track records that were hired this week is really too blatant for even my usually right minded - can't we all just get along - self to accept as "chance". Dan was right, it's a matter of hiring someone like the GM, like the advertisors, like the season ticket buyers, and in college like the boosters - because they understand each other. They speak the same language. They look good on the sidelines and sound good on the coaching shows. They SELL TICKETS when winning is a crap shoot. If minorities (that includes bald guys) want to get jobs you need to either have a person like yourself owning the team, running the team, or you better have a resume so great that winning with you is a likelihood and not a hope - taking over a perpetually down team makes this easier to swallow aka Lovie, Romeo, Marv, & Denny or you better "fit in" aka Herm & Tony. Sorry Bob, likeism really does exist and in many forms. How many bald guys do you see doing the news? Do you really believe there are just not that many qualified guys with shiney domes out there or do you just accept it? Blackistone and many others are just tired of accepting it. Answer to the prob? Call Oprah, Cosby, and P Diddy (haha) and have them buy a team. Think they'd have hired Payton? Doubt it. Doesn't make it any more right - just makes it life as we live it. I think what bothers me is not the # of black coaches in the league, but the way that they're treated. Haslett loses his job and picks one up for next year. Black coaches so far get their one chance and that's it for a while. They get their shot, then if they fail or when they eventually get fired as most coaches do, they're done. We can't complain because people will say "hey we gave Dennis Green a shot and he failed". White coaches however, get recycled all the time. One day hopefully I'll be proven wrong. And if you think race is no longer a factor in 2006, I'm so sorry to tell you, but you're wrong. It is and always will be. As long as there are races, there will be problems. Has Haslett been hired? or Tice? or Sherman? I know Dennis Green was not out of work long before he was hired a second time. Same with Ray Rhodes. Tony Dungy. My point is that people say things like, "the black coach never gets another chance" and the "white guy gets recycled" but where is the truth really? And what about the life-time coordinators who are white and never got their chance to be a head coach? Fritz Shurmur, Jim Johnson, Monte Kiffin, and Jim Bates all come to mind as far more qualified than 99.9% of coordinators (white or black) that get hired. Do they just not interview well? Do they not have the interest? Who knows? What we do know is that no one wants to write a column about the poor white guy who can't get hired, because that doesn't make very interesting segments or conversations. I am just trying to say that race is not always the reason someone gets hired or fired. Sports are very complicated, and to suggest it is that simple is irresponsible by responsible journalists. 3rd and 3 at PIT 44 (1Q 8:08) (Shotgun) B.Roethlisberger pass to H.Ward to DEN 49 for 7 yards (J.Lynch). And now, Pittsburgh has beaten the #1, #2, and #3 seed. Never been done before, but now it has…But who would have thought there was ever a scenario under which the AFC #6 seed would be favored in the Super Bowl versus the #1 NFC seed? You'll recall that, sadly, there's no footage of Wilt Chamberlain rumbling for 100 points in Hershey, Pa., on March 2, 1962. Which makes it tough to commission an in-depth analysis comparing Wilt's feat (scoring 100 of his team's 169 points that day) to Kobe's (81 of 122). But I'll gladly settle for the forthcoming flood of Kobe replays, in which you'll see him haul the Lakers back from a 71-53 deficit against a Raps team that kept the game sufficiently close in the final quarter to keep Kobe out there shooting. Against a Raps team that somehow held him to 11 points when the teams met in early December -- historic footage in itself now -- Bryant wound up with 55 points after halftime. Fifty-five. For a little perspective, please note that matches the best scoring game in Kareem Abdul-Jabbar's career. That's the same Abdul-Jabbar who, before becoming a Lakers assistant coach, was merely the NBA's all-time scoring leader. Today, Fox Sports West (652 on Directv) replays the game today at 2pm. 100 -- Wilt Chamberlain, Philadelphia vs. New York at Hershey, Pa., March 2, 1962. 81 -- Kobe Bryant, L.A. Lakers vs. Toronto, Jan. 22, 2006. 78 -- Wilt Chamberlain, Philadelphia vs. L.A. Lakers, Dec. 8, 1961 (3 OT). 73 -- David Thompson, Denver at Detroit, April 9, 1978. 73 -- Wilt Chamberlain, San Francisco at New York, Nov. 16, 1962. 73 -- Wilt Chamberlain, Philadelphia vs. Chicago, Jan. 13, 1962. 72 -- Wilt Chamberlain, San Francisco at L.A. Lakers, Nov. 3, 1962. 71 -- David Robinson, San Antonio at L.A. Clippers, April 24, 1994. 71 -- Elgin Baylor, L.A. Lakers at New York, Nov. 15, 1960. 70 -- Wilt Chamberlain, San Francisco vs. Syracuse, March 10, 1963. Brad Sham with a beard. Love it. The Mavericks, who led by nine with 4:05 left in the fourth, nearly were undressed by Steve Blake, Portland's rail-thin point guard. He scored the Blazers' final 11 points of regulation, including a 3-pointer that tied the score at 79 with four seconds remaining. Another Blake three-pointer created a tie at 84 in the overtime. Harris, the second-year point guard, stepped in to do what his elders could not. He broke the tie with a driving layup, his offensive specialty. Harris followed that with the game-deciding play. Creator David Chase and stars like James Gandolfini and Edie Falco steadfastly said nothing about the plot turns in the last 20 episodes of the storied run of the series about mob families. "We've been asked not to speak," Lorraine Braco told reporters. Well, they did say this: The show returns March 12 (at 9 p.m.) with 12 episodes. Then it will air eight more _ the eight final episodes _ in January 2007. There's little doubt left about the fate of "Arrested Development." Fox is giving up on it. There's no official announcement _ yet _ but the network this week scheduled the "season finale" during two hours on Feb. 10 (from 8 to 10 p.m.). That's basically all the episodes they had left, all piled into one blast, and it's on a Friday night, never a sign your network expects many viewers. But here's the worst part. It will air opposite the Opening Ceremonies of the Winter Olympics, which will be watched by about half the world. Fox entertainment president Peter Liguori admitted to critics that things don't look good for the show; still, he wouldn't say they're pulling the plug. "I have to be frank," he said. "It's highly unlikely the show is coming back, but no definitive final answer has been made." Evasiveness aside, you have to give Fox credit for sticking with "Arrested Development" for three low-rated and expensive, if critically acclaimed, years. Fox is also letting other networks _ including ABC and Showtime _ talk with producers about the slim possibility of picking up the show. In the meantime, figure this is the last hurrah for one of the funniest, if unusual, TV comedies in a decade. The new president on "The West Wing" will be a real short-timer: NBC said Sunday that it was yanking the political drama in May after seven seasons. The series finale will be May 14, preceded by a retrospective. The campaign to replace fictional Josiah Bartlet as president will be settled, NBC said. NBC's announcement wasn't considered much of a surprise. Although this season's story line with a presidential campaign involving a Democrat played by Jimmy Smits and a Republican portrayed by Alan Alda has won critical acclaim, ratings sunk with the show's move to Sunday nights. The network also outlined midseason schedule changes for "Law & Order," which moves to Wednesdays at 8 p.m., and "Las Vegas," which goes from Monday to Friday starting in March. The decision to cancel "West Wing" was made before actor John Spencer, who played former presidential chief of staff Leo McGarry, died of a heart attack Dec. 16, said Kevin Reilly, NBC entertainment president. Also, "The Office" will go off the air at the end of March so star Steve Carell can film a movie, Reilly said. What do you do when you feel like you deserved better? Get over it. Rio Ferdinand kicked a near-goal off his own line, and then in the 90th minute gets his head on a beautiful kick from Ryan Giggs and buries it in the top corner of the net. Rio saves 1, scores 1, and Manchester United stays 2nd in England. At least it wasn't Chrissy Ronaldo. Well, the season is over. It didn’t work this year. Only 79.1%. I promised 80% and I failed you all. I am sorry. What is the result for teams with 100 yard rushers? Week 15, Philadelphia somehow won as a -3 on the road. Almost impossible to do this, especially given the year the Eagles had. But the Rams let that happen to them. Also, Oakland was at home, won the turnover battle, had the 100 yard rusher, and still got beat…by CLEVELAND! Tonight, the Dallas Stars will honor someone who almost never gets honored. His name is Sergei Zubov. Recently, Zubov became the all time leading scorer amongst every defenseman who ever played in the North Stars/Stars franchise history. The Stars plan a big honor for Sergei, who would rather not be singled out, or interviewed, or anything that does not require him to go about his business and just play hockey. Here are some of the numbers on the greatest defenseman ever to lace up the skates with the Star on his chest. • Is the only active defenseman to record 30 or more assists in each of the last 10 seasons and is now two points shy of becoming the only d-man to post 40 or more points in 10 straight years. • Ranks first on the all-time Russian born defensemen scoring list and third on the non-North American defensemen scoring list with 645 points (129-516-645) – behind Borje Salming and Niklas Lidstrom. • Is the Stars’ all-time franchise leader among defensemen in assists (335) and points (432) in 671 games. • Among NHL defensemen scoring leaders this season, he ranks tied for third in assists (32) and fourth in points (38). • During the 1993-94 season, became the first defenseman to lead a team in scoring that finished first overall in the NHL, posting 12 goals and 77 assists for 89 points in 78 games – He was only the second Rangers defensemen to record over 70 assists in a season. The biggest crime was brought up to me by Ralph Strangis. He pointed out that Zubov had never even been nominated for a Norris Trophy. Think about that. Think about the numbers above, and then the idea that the media has never even put him in the 3 finalists for the Norris Trophy. Of course, when you are a defenseman from Russia, who is never interviewed, and who plays West of the Mississippi and South of the Canadian border, you cannot expect the media to feel you. But, Stars fans know better. They know he is the best d-man to ever play for this team, and while someday he will be old and washed up, we obviously are not even close to that right now. Pittsburgh at Denver: This is the first time since we started the current playoff system in 1990 that a sixth seed has reached the conference title game. Steelers QB Ben Roethlisberger, in eight road games this year, has 12 TD passes, 4 INTs and a rating of 108.3. ... For Pittsburgh to win, it needs to block the Denver blitzes and make plays in the passing game. It's going to come down to WRs Hines Ward and Antwaan Randle El, because I think Denver will do a good job containing TE Heath Miller. ... On defense, the Steelers must force QB Jake Plummer to beat them from within the pocket. ... For Denver to win, it must run the ball, get an early lead, and protect the ball. WR Rod Smith could have a good game, though it won't be easy against CB Ike Taylor, who played well against Marvin Harrison last week. The Denver defense must control Pittsburgh's offense, which kept the ball for 34:52 last week in Indianapolis. ... Denver is 4-0 at home in conference championship games (only loss in AFC title game was at Buffalo in January 1992). ... Pittsburgh ranks fourth in overall defense, third against the run, 16th against the pass. ... Denver is 15th overall, second vs. the run, 29th vs. the pass. ... Over the last four games of the regular season, both teams were 4-0. Pittsburgh allowed 33 points in those games; Denver allowed 37. ... This is the sixth playoff meeting between these teams; Denver holds a 3-2 edge. Sturm Pick: This is really, really tough. My initial pick is Pittsburgh, but to take the Steelers, you have to disregard years and years of history that tell you that teams that have to play 3 road games almost never go to the Super Bowl. You also have to disregard the historical and present dominance of the Denver Broncos in front of their great fans. Both teams take care of the ball, both teams have great coaches, and both teams can play defense in the toughest situations. Even the QB discussion is hardly decisive as you have Roethlisberger vs Plummer, and I cannot tell you there is a huge advantage either way. So, this pick is leaning more to the sentimental story of Bettis finishing his career in Detroit, his hometown, at the Super Bowl. With very little convinction, give me Pittsburgh 24, Denver 20. Carolina at Seattle: In playing the Giants and Bears on the road, Carolina logged a total of 2,840 miles; the Panthers will travel 2,860 just to get to Seattle. Plus, they will have one fewer day of rest, having played Sunday while Seattle played Saturday. ... The Panthers are without DeShaun Foster, who ran so well the past two weeks, so the running game will come down to Nick Goings. You haven't heard a lot about him, but he did have five 100-yard rushing games in eight starts in 2004. In his 13 career NFL starts, Goings averaged 68 yards rushing and three catches. DE Julius Peppers is injured, but I believe he will play. ... For Carolina to win, the Panthers have to get some production from Goings. QB Jake Delhomme has been unbelievably hot -- in six playoff games, he has 10 TDs, 2 INTs and a rating of 108.4. He'll need to stay hot, and not turn the ball over. Seattle will look at the Dallas game from the regular season, when the Cowboys' coverage did a pretty good job shutting down WR Steve Smith before he ended up getting ejected. If Smith is contained, WR Drew Carter needs to make some plays. ... On defense, Carolina must pressure Seahawks QB Matt Hasselbeck and make Seattle one-dimensional. They need to handle the running game, make them pass from behind. ... Seattle needs to block Carolina's front four and run the ball. There still are some questions about RB Shaun Alexander's status, but they have to make some plays in the passing game. Carolina is good against the pass, with good corners. WR Darrell Jackson has back-to-back 100-yard receiving games in the playoffs, one last year and one this year. Another key for Seattle's offense is the status of Sean Locklear, a very good RT who was arrested earlier this week. ... Seattle has to stop Smith and hope the QB is cold. ... One side note: Delhomme was an undrafted free agent from Louisiana-Lafayette, while Hasselbeck was a sixth-round pick from Boston College. ... This is the first time these teams have met in the playoffs. They've split their only two regular-season games. ... Carolina is third in overall defense, fourth against the run, ninth against the pass. Seattle is 16th overall, fifth against the run, 25th vs. the pass. ... In the last four games of the regular season, Carolina was 2-2, and allowed 65 points; Seattle was 3-1 and allowed 63 points. Is the move to the bench upsetting in any way to the 6-11 center? "Not at all," Dampier says. "I was just taken out of the lineup. I wasn't benched. I still get to go out and help the team win. I'm comfortable." FC Dallas with big day at the draft …be still my beating heart. But, there is this issue of going from Eddie Johnson and Carlos Ruiz up top, to neither. Plus, will Eddie Johnson miss the entire first 3 to 4 months of the season, given his role with USA’s World Cup entry? Both denied published reports out of New York of an impending trade that would send valuable young striker Eddie Johnson to the MetroStars for unhappy midfielder Amado Guevara, the league's 2004 MVP, who is publicly feuding with management. "There's absolutely nothing to that," Clarke said of the reports. Such a scenario could become more palatable for FC Dallas if the club can re-sign striker Carlos Ruiz, who continues seeking international offers but seems increasingly likely to return to MLS. If FC Dallas did trade Johnson, then saw Ruiz sign elsewhere, the club would suddenly be reduced from two A-list forwards to none. Archie Manning, Peyton's dad, was among those who heard what Bradshaw said Sunday. He called what Bradshaw said "a cheap shot," according to Newsday in New York. "I know Terry well, and this isn't the first time," Archie Manning told Newsday. "He's taken shots at me - he takes a lot of shots - he seems to like to take shots at Peyton. He wore me out two years ago on Eli's deal. He wore me out." Eli Manning, another of Archie's sons, forced a draft-day trade between San Diego and the New York Giants two years ago, a move that brought criticism, especially from San Diego fans. Bradshaw offered words of encouragement to Eli after he and his Giants teammates played horribly in a 23-0, playoff loss to Carolina on Jan. 8. In a conference call with reporters this week, Bradshaw said he stood by his criticism of Peyton. In a passionate and rambling defense of his role, Bradshaw suggested that Peyton might want to fight his own battles instead of having his dad fight them. Bradshaw also said he had made a ton of positive comments about Peyton over the years. "One of the things (I) have come to grips with as a broadcaster, you can't have friends and do our job," Bradshaw said. "Because your friends (in the NFL) are going to stub their toes and (my bosses) are listening and watching. You have to be honest." Bradshaw said he did not have the luxury of time to examine Peyton's comments. "Archie is defending his son and I understand that," Bradshaw said. "But I would imagine today, rather than taking shots at me, he's got a lot of phone calls to make because I don't think I'm the only one. I probably have a little more impact because I'm someone on television and I'm a former quarterback. I saw the press conference afterward. Immediately, immediately, that's what I thought. I don't have a whole day to analyze the tape, formulate a thought or an opinion. Arsenal have completed the signing of teenage striker Theo Walcott from Southampton, in a deal which could eventually cost £12million. Walcott cannot sign a professional contract with the Gunners until his 17th birthday on March 16, and so will join the Premiership club as a scholar until then after they paid Saints an initial fee of £5million. Chelsea were also reported to have been chasing the teenager's signature, but the chance of regular first-team football at Highbury, and from next season the new 60,000-seater Emirates Stadium, is thought to have been key to the player's decision to choose to further his career in north London. • MANCHESTER UNITED against Liverpool is a thoroughbred encounter at Old Trafford, and the European champions are pursuing a 50th League victory over the Red Devils. The pair are also vying for runners-up spot and the second automatic Champions League place, alongside champions-elect Chelsea, who are 16 points clear going into this round of fixtures. United are one place and one point above their opponents, but the Merseysiders have two games in hand and this is therefore a critical six-pointer. • Both of these clubs have won 13 Premiership matches. Three of United's have come in the last trio of Old Trafford fixtures. They go into this clash having cruised into the Fourth Round of the FA Cup with a 5-0 victory over non-League Burton in the midweek Replay, but on the back of a 3-1 local derby defeat by Manchester City at Eastlands last weekend. Sir Alex Ferguson's side have not suffered successive Premiership defeats in 27 League outings. • United are pursuing a third win in four home Premiership exchanges with Liverpool. Ferguson's side won 2-1 in last season's Old Trafford match through Mikael Silvestre's headed double on Rio Ferdinand's return after an eight month enforced lay off. The Red Devils have lost three of the last five corresponding fixtures, all by a 0-1 score line. • LIVERPOOL are on the longest unbeaten sequence in the Premiership of 12 matches, and are enjoying their best ever return from the first 20 matches of a Premier League season. • The defeat to Sao Paulo in the final of the World Club Championship on 18 December is the only loss suffered by Rafa's Reds in 18 games in all competitions. They've won 14 and drawn three in that sequence from the end of October. • The Reds have claimed maximum points in two of their last four visits to Old Trafford. Danny Murphy scored in both 0-1 victories on 11 January 2002, and 24 April 2004. But the Merseysiders have not won in three meetings with United and have not scored in two. That includes this season's reverse fixture which was a drab goalless draw, in which there were few clear cut scoring chances. It turned out to be Roy Keane's last match for United. I have no lie to tell. Today is my wife’s birthday. Tonight is Guy’s Night Out. That’s right. I will be at Sneaky Pete’s while my wife is watching the kids on her birthday. So who pays the price? You. The Blog reader, because I am now taking her and the little ones to breakfast to save my skin. So, please accept this half-hearted blog today. Actually, Houston had the look of a pretty good playoff team all night, as long as it was the players in street clothes you were looking at. Yao Ming, Tracy McGrady, Bob Sura, Stromile Swift and Derek Anderson would be a playoff-caliber starting lineup. They were all out with injuries, as was Jon Barry. "We know Houston isn't the team they are right now, but I appreciate the focus we had," said Jerry Stackhouse, who had a season-best six assists. "We came out and did what we needed to do, and hopefully, set the tone for the trip." The Mavericks approached this game with no sympathy for the wounded. They opened up a double-figure lead in the second quarter and never let things get interesting. Any fear of taking things for granted with the manpower advantage was unfounded. "I witnessed my wife being threatened by a man that I learned later to be intoxicated," Davis said in a statement issued after the game. "I saw him touch her, and I know I should not have acted the way I did, but I would have felt terrible if I didn't react. There was no time to call security. It happened too quickly." Davis ascended about 10 rows of seats to reach his wife. There was no physical confrontation after he got there, but several people were pointing and shouting for a few moments before security arrived. Davis, president of the NBA players' association, returned to the bench and took his seat before being ejected with 1:04 left. Stars play like it didn’t matter too much to them last night, Get pounded at home by Atlanta …Ouch. That sucked. While I am at it, can I just say that crowd was as disinterested as I have ever seen. Not a good night for Dallas hockey…. "When you start making excuses, that's when you're in trouble," Tippett said. "There's no reason for not competing hard, no reason for making soft mental plays. ... We've thought there's some cracks in our game for a while. They're starting to show a little bit." The oddity of this impressive Stars' season is that the 35-year-old Guerin, who has averaged 35 goals over the previous four seasons, has scored just eight goals in the Stars' first 46 games. After Wednesday night's ugly 5-2 loss to Atlanta, he has put in more than 205 minutes on the Stars' power play with just one goal to show for it. This is the same guy who led the Stars with 34 goals in 2003-2004. He can't figure it out. The Stars can't figure it out. "I'll be honest with you, the first half of the season has been tough," he said, leaning against the wall just outside the locker room door. "This is not someplace I'm used to being. "But I'm at a point now where I just kind of have to focus more of my attention on how the team's going, and we're doing really well. We're in first place, we're winning hockey games, and some guys are having career years. That's what's most important." My Wife thanks you for your understanding. 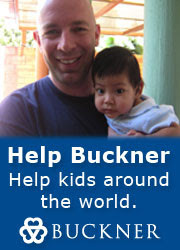 Actually, my wife thinks this blog is a waste of time, since there is no blog payday, but you know what I am saying. So, Here is to Sally. Still Don't Think I Can Play?